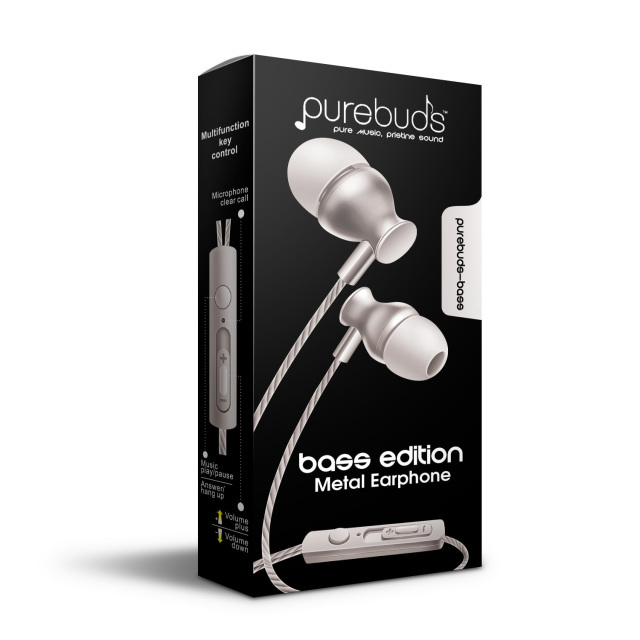 New revolutionary Purebuds, Bass-Edition Metal Earphones. Now you can enjoy pure music, pristine sound for the best music listening and phone call experiences. Enjoy listening to your favorite songs with real metal earbuds for super durability and beveled design for enhanced bass to hear the full richness and depth of audio. Plus enjoy three custom audio tips to personalize your music with ultra-full range audio and surround sound effects. Also, delight in crystal clear phone calls with noise cancellation technology built into sound module for great sound isolation. 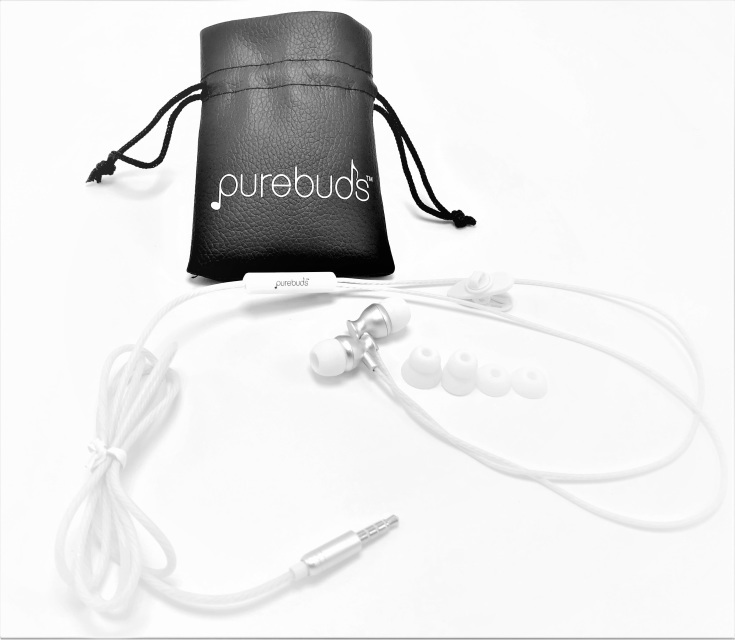 Lastly, your Purebuds are built to last with real metallic aluminum alloy earbuds, a silver tip audio connector, and cord protected by triple woven and sheath overlay protective system. Real genuine leather carrying pouch case accessory to keep your Purebuds protected safe and sound. 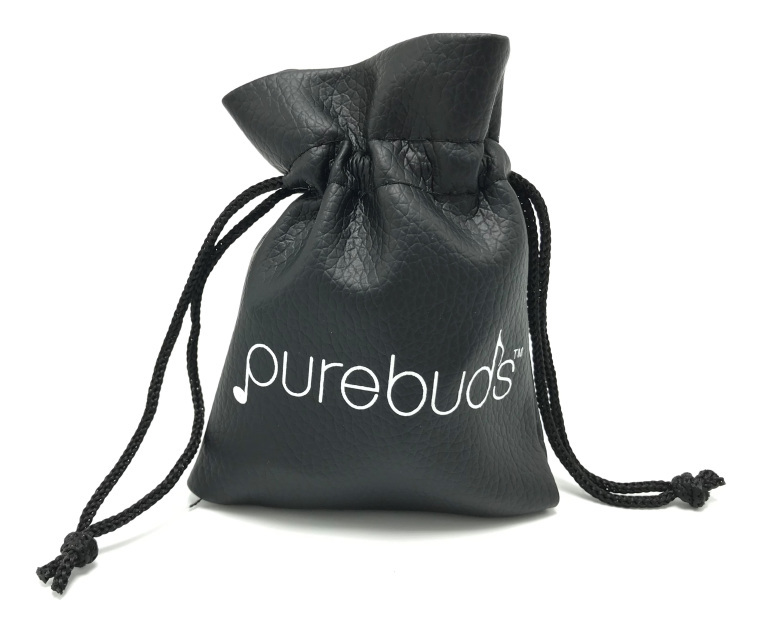 Enjoy a high quality real leathercarrying case perfect to bring your Purebuds with you on the go! 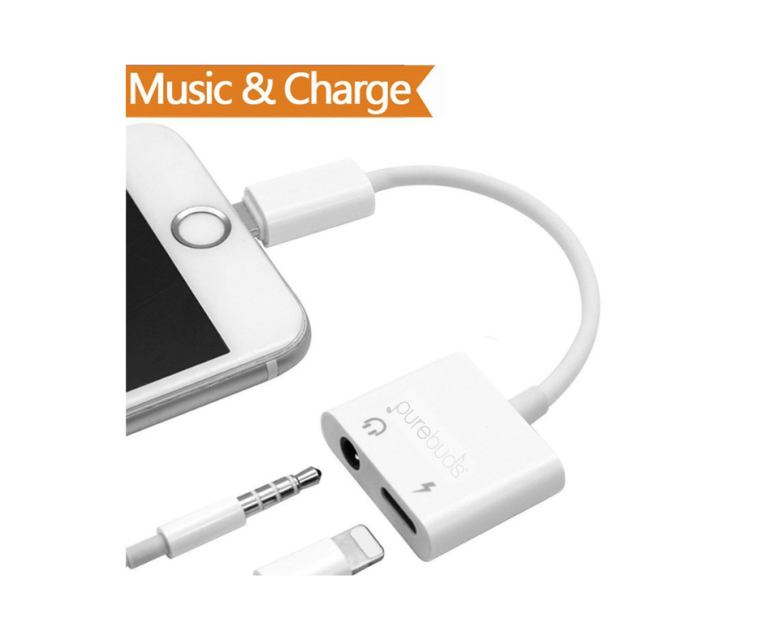 Innovative dual port adapter: 2 in 1 Headphone Audio Plus Charging Jack Connectors For iPhone to ensure your headphones work great with new iPhones 7 or above. 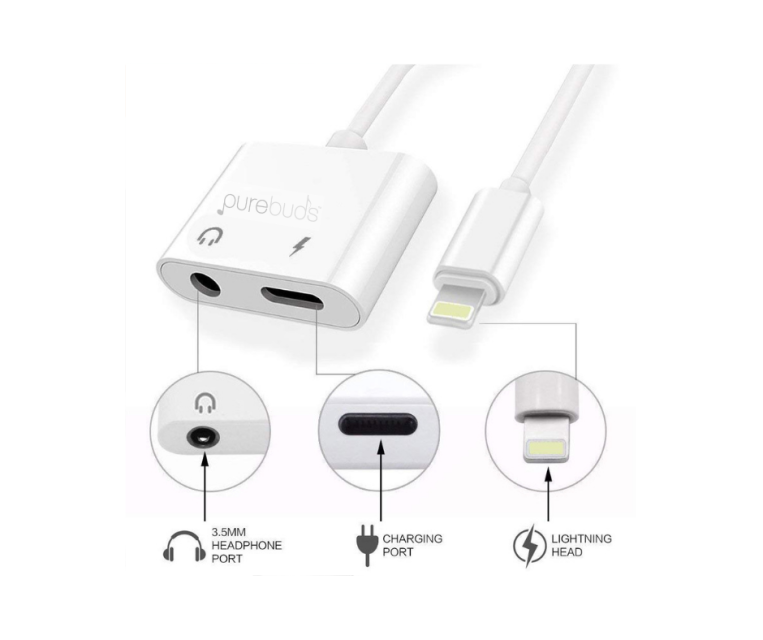 This accessory supports Audio + Charging + Music for the iPhone to help you connect the Purebuds Earphones and any audio device with 3.5mm (1/8th" connector) to the new iPhone lightning port for great audio and still give you room for charging your iPhone. Special Two Product Bundle Deal:Includes Purebuds Bass Edition, Metal Earphones plus real genuine leather Purebuds carrying pouch accessory. This bundle gives you everything you need to enjoy pure music, pristine sound plus keep your Purebuds and eartips protected and safe on the go in a leather pouch case accessory. Enjoy all three products in one special triple play bundle kit. In one purchase get all and save!